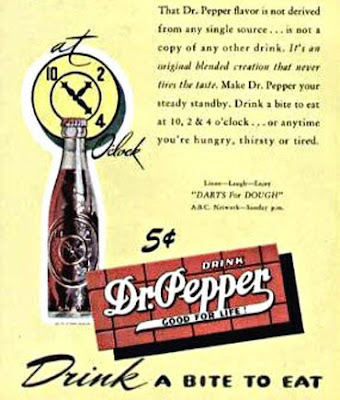 A syndicated radio show during World War II called “The 10-2-4 Ranch” (later, “10-2-4 Time”), aired in the South and other areas to which Dr. Pepper’s distribution had extended. The show featured the Sons of the Pioneers. To play or download a single file just click on it, this opens up play page. Then click on any file to play and download link for selection is at bottom right of page. Zip file is under miscellaneous.